The photographs of Mort Wise will be on display at the Dana Biomedical Library from July 1st through the end of September 2012 in the library’s quiet reading area. The photographs are from Mort’s recent trip to India beginning in Chennai on the east coast and concluding in Mumbai on the Arabian Sea. Please come and see these beautiful, colorful photographs! 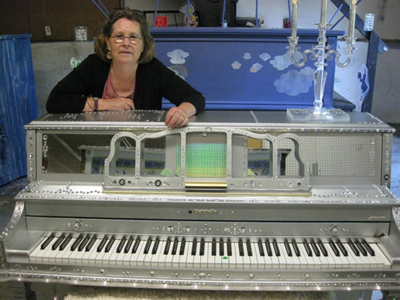 Marilyn Milham and the Glitz Ensemble have created the Liberace Piano, one of the 50 Hands On Pianos scattered across the Upper Valley. The Liberace Piano is on display at King Arthur Bakery’s outside patio on Route 5 in Norwich until July 31. The Glitz Ensemble is made up of several Biomedical Libraries staff, including: Marilyn Milham, Susan Jorgensen, Owen McDowell, Danelle Sims, and Don Fitzpatrick, with the help of a few of Marilyn’s other friends: Mary Ellen Rigby, Dana Hanson, and Louise Moon. Susan came up with the Liberace theme and Marilyn and her crew took off from there, including painting, gluing of rhinestone, solar lights, and solar candelabra, as well as glitzy fabrics for back of piano and piano seat. We all enjoyed ourselves to the nines! 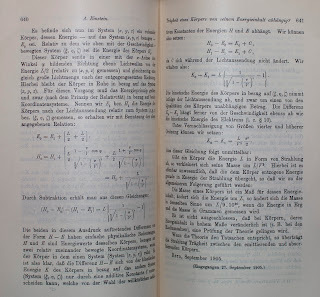 In 1905, during his now famous stint in the patent office, Albert Einstein published four articles in the scientific journal Annalen der Physik. This series of articles is often referred to as the Annus Mirabilis (extraordinary or miracle year) papers - reflecting their enormous impact on several key areas of modern physics. 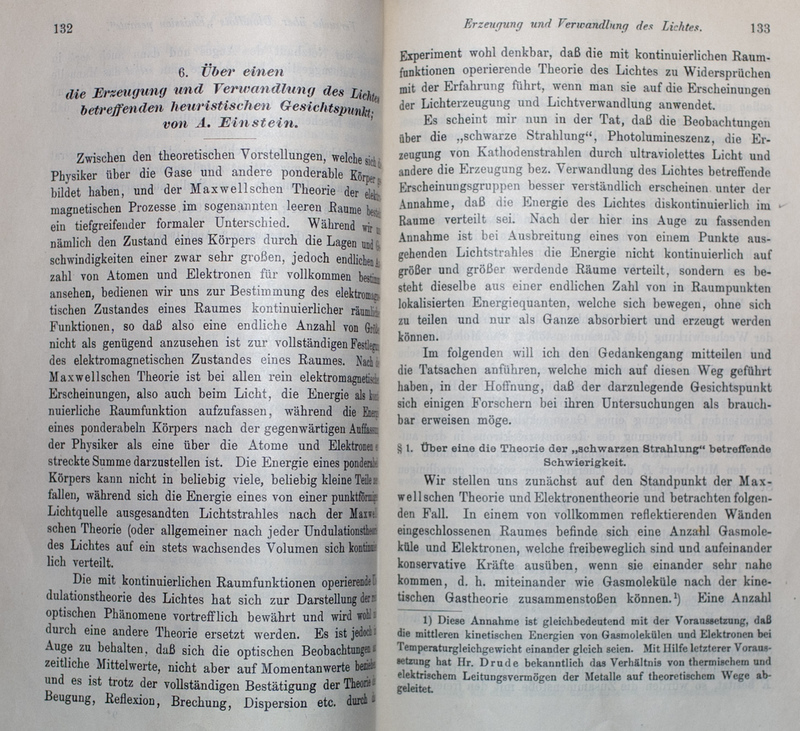 The first article to be published was Über einen die Erzeugung und Verwandlung des Lichtes betreffenden heuristischen Gesichtspunk (June 9, 1905). This paper discussed the photoelectric effect (electrons can be ejected from a material if a sufficiently energetic beam is focused on the material) and demonstrated how observations of the phenomena could be explained by postulating that light is composed of discrete packets or quanta whose energy is determined by the frequency of the ray. Einstein ultimately received a Nobel Prize for this work. The second article dealt with Brownian Motion - the movement of particles suspended in a fluid medium whose motive force is imparted by bombardment of the atoms of the fluid itself. 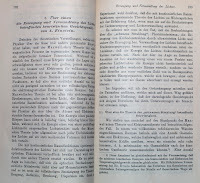 Entitled Über die von der molekularkinetischen Theorie der Wärme geforderte Bewegung von in ruhenden Flüssigkeiten suspendierten Teilchen (July 18, 1905) this paper strongly supported the idea that the atom was a real entity and also lent support to the field of statistical mechanics. The third article discussed special relativity. 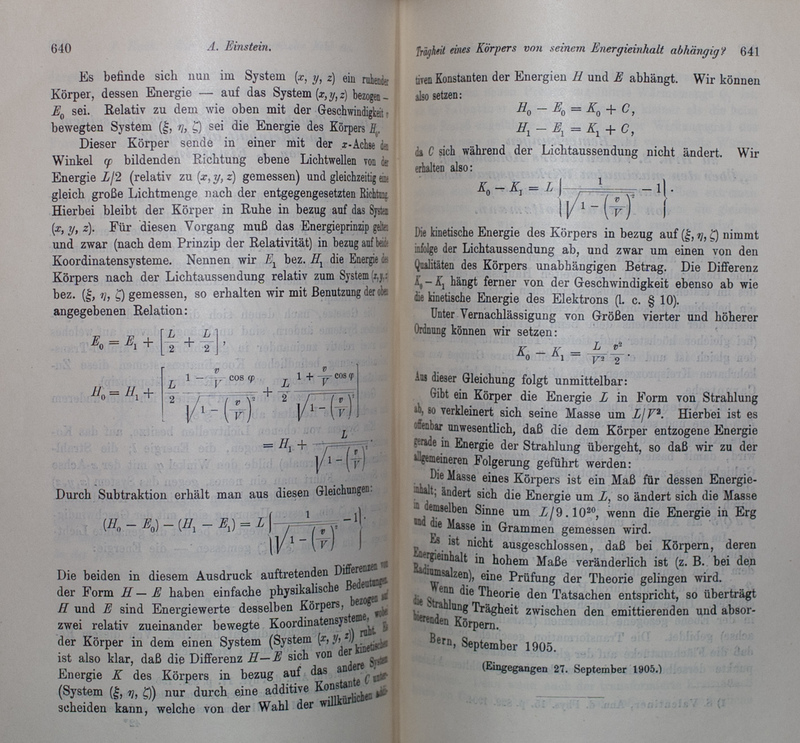 Zur Elektrodynamik bewegter Körper (September 26, 1905) demonstrated that Maxwell's equations for electricity and magnetism and the laws of mechanics could be reconciled at speeds approaching that of light, which was a fixed constant and so the same for all frames of reference. The final paper of the "miracle year" was titled Ist die Trägheit eines Körpers von seinem Energieinhalt abhängig? (November 21, 1905). In this article Einstein presented one of the most famous equations of all time: E=mc2 (energy can be equated to the mass of an object times the square of the speed of light). This energy is known as rest energy and is distinct from an object's kinetic and potential energies. To see all the original publications ask for Rare Book QC1 .A6133 v.322 no.6 (photoelectric effect), Rare Book QC1 .A6133 v.322 no.8 (brownian motion), Rare Book QC1 .A6133 v.322 no.10 (special relativity) and Rare Book QC1 .A6133 v.323 no.13 (mass energy equivalence). In 2007, Preservation Services established a rapport with what was then the conservation program at the University of Texas Kilgarlin Center for Study of the Cultural Record, by serving as an internship host site. These 9-month internships were designed to provide advanced conservation experience to third-year students in the program. In August of that year we were fortunate to host our first intern, Lauren Telepak. Hosting a student such as Lauren was a pleasure, as she had much to share from her studies and workshops. In exchange, we provided a working environment in which she could tangibly integrate her skills and knowledge. One of the activities Lauren participated in was the extensive staff orientation that is provided for new library staff. Lauren was exposed to many operations and departments she might not otherwise have known about. One of the many benefits of hosting interns, especially those from established programs, is the opportunity for us to learn new techniques and skills that are being taught in the programs. Often conservation interns do not have any training or supervising experience, so we try to provide opportunities for the interns to work with our part-time students. 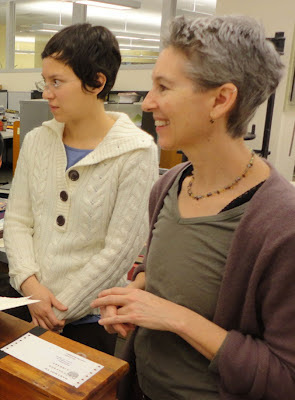 Lauren was also able to teach in the Book Arts Workshop, which gave her some classroom teaching experience. 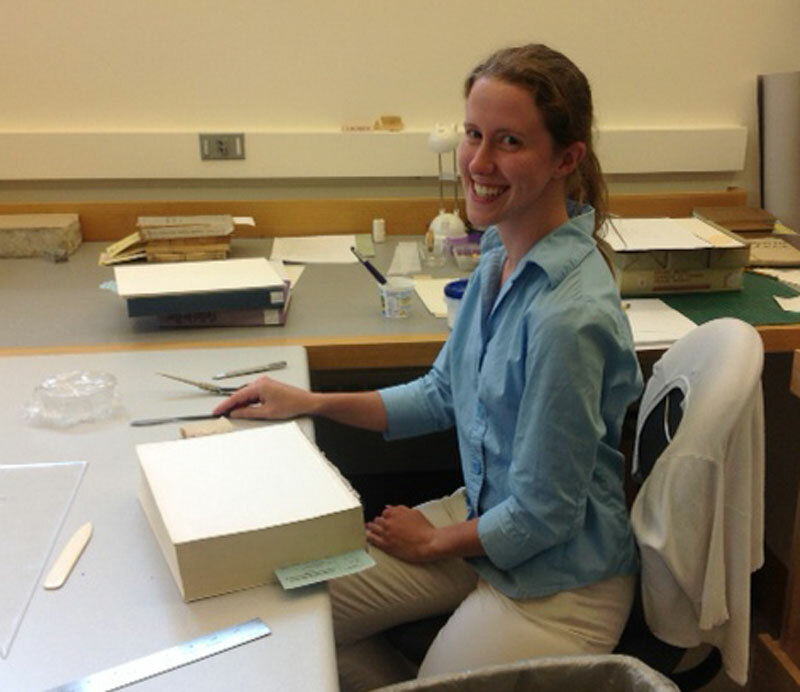 Lauren is now the Collections Conservator for the Harvard College Library. Our second intern from the Texas program was Helen Bailey. Helen had a strong background in digital technology along with her interest in conservation. One of the options I like to offer our interns is the chance to explore new venues and potential interests other than just conservation. During Helen's time here, she took advantage of this opportunity by shadowing some of the librarians in other departments and spending some time on the reference desk. She also taught workshops for the Book Arts program and was the project coordinator for the redesign of our department web site. 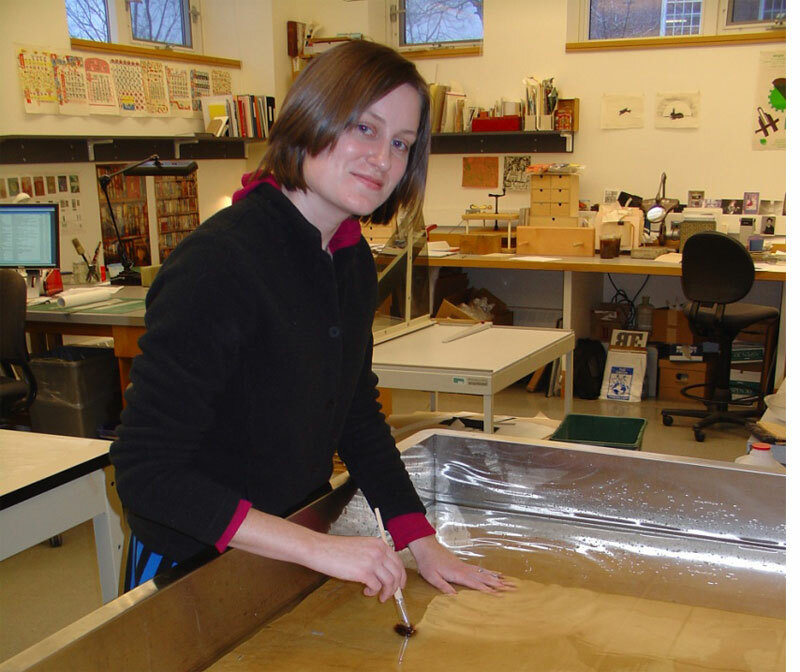 By the end of her internship, we had reorganized our department staff, which resulted in a new position that incorporated conservation knowledge and digital preservation development. I am pleased to say that Helen is still with us in this new position! 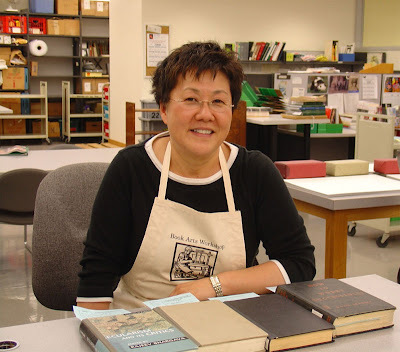 In 2008, while attending a party marking the closing of Aikos Japanese paper store in Chicago, Becky Saki, who had been the store manager there for five years and worked there for over fifteen years, came to me and said "Now what am I going to do?" I knew Becky had taken some conservation classes and that she was interested in learning more, so I said "Well maybe you can come up to Dartmouth for the summer and do a crash course in conservation," and with that, the kick-off for our summer internship program was established. With a much shorter time frame to learn, it is more of a challenge to be diligent and structured in setting the outline for skills to learn. Becky was a quick study and was soon exploring more complex treatment beyond basic book repair. 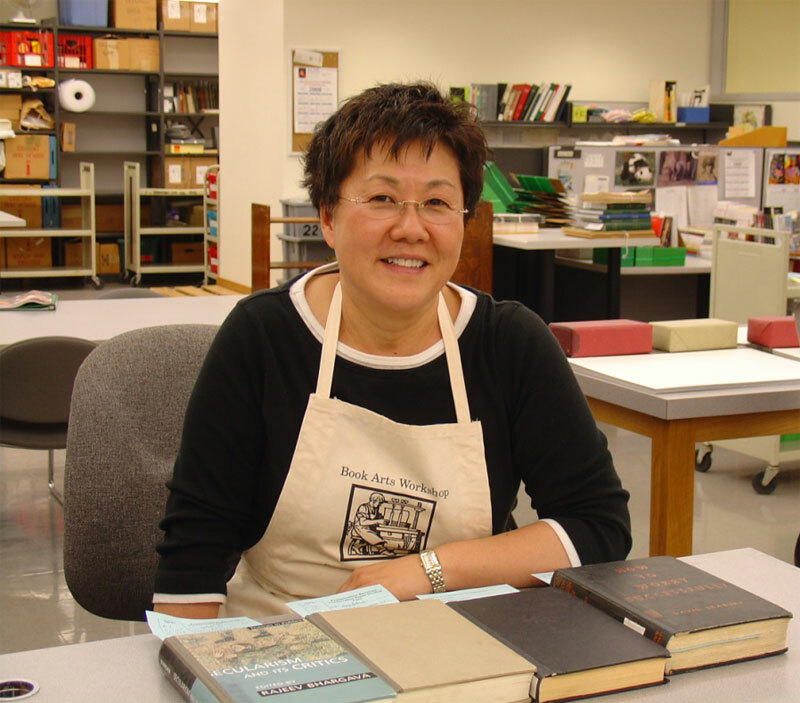 After Becky returned to Chicago, she was hired for a part time job at the Newberry Library working on a long term grant project and a part time position at the Ryerson Library at the Art Institute of Chicago, where she utilized many of the skills learned here. She has gone on to learn fine binding skills with Scott Kellar and had a book juried into the Chicago Public Library "One Book Many Interpretations" exhibit. The next summer we hosted Jill Iacchei who came to us with more of a book arts interest (unfortunately I don't have a photo of Jill). Jill had learned bookbinding more or less on her own, but had also sought out private lessons with Daniel Kelm in East Hampton MA. She was a Montessori teacher and wanted to change her career path. Having excellent listening skills and an eye for detail, she quickly picked up many of the conservation skills that were new to her. Pursuing her book arts interest, she applied and was accepted to the Iowa Book Arts Program. During this time she worked part-time in the conservation lab there. 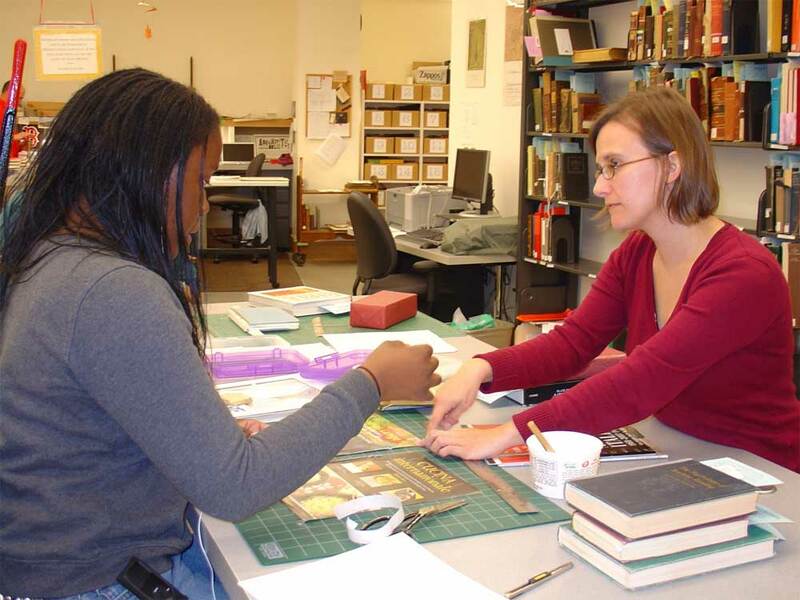 The Book Arts Program gives students a well-rounded education, from the history of book binding to the creation of fine books. This past year, she graduated and was hired for a one year fellowship in conservation at Stanford University. In 2010 we entered into a relationship with North Bennet Street School to provide an official summer internship program for the book binding students. 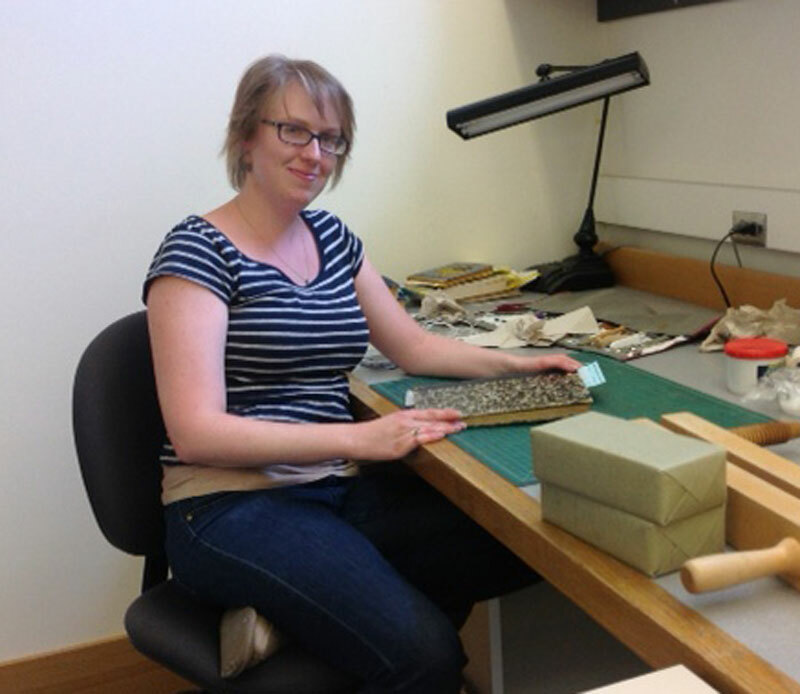 Our first intern was McKey Berkman, who had a sound background of bookbinding experience. 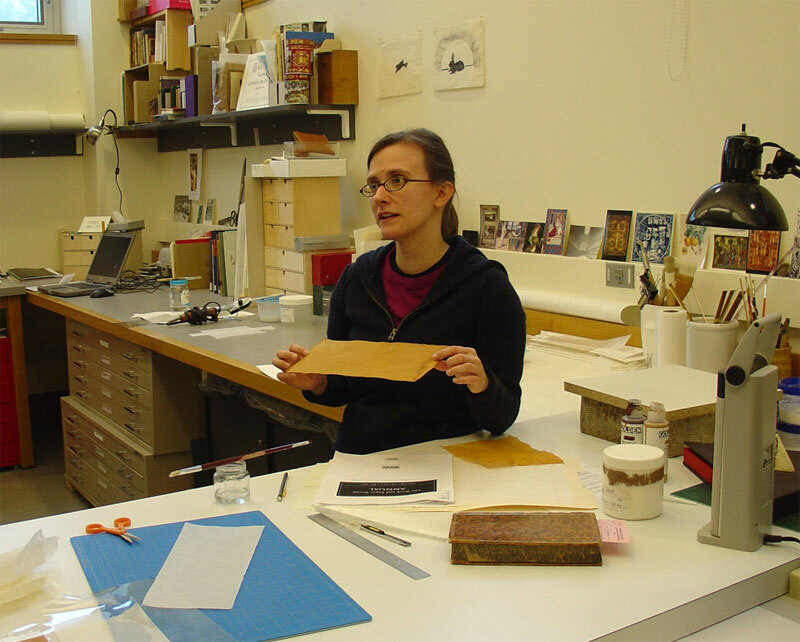 Students coming from North Bennet are exposed to traditional book binding as well as some conservation work. At the time she arrived, our College Archivist wanted to have some work done on the scrap book of Robert May, the creator of Ruldolph the Red-Nosed Reindeer. I thought this would make a perfect project for McKey that would provide a challenging and satisfying outcome. McKey has graduated and now has a studio space where she does private bookbinding and conservation work. Our second North Bennet intern, Arini Esarey, had already graduated when she came and had experience working in a conservation lab part-time as a student. While here, she was able to explore some of her more personal interests which included Islamic binding and color matching using different techniques. She went on to do an internship with London artist Su Blackwell and is now looking to spend time in Turkey researching book binding there. Currently we are happy to host two interns at the same time, Lauren Schott, a first year student, and Becky Koch, a recent graduate. It has been a pleasure having two students here at the same time, as they are able to share what they have learned with each other. It also contributes to good conversation and group problem solving, and I am able to teach two people at once which makes my time more efficient. On a day-to-day basis I try to work with them individually as well as together, and have set up "touch base" meetings separately to be able to address their individual interests and focuses. All in all, I find it a great and satisfying activity to host interns. It is an all-around win-win dynamic as we are able to complete a significant amount of work and move ahead on special projects and batch treatments. In return, the interns are exposed to a practical, working conservation environment and become more versed in conservation treatment options. I try to give each intern a special project so that they have at least one new show piece for their portfolio. We also provide a context in which conservation and preservation exists within the library and college environment, and help the interns learn more about this by setting up meetings with heads of departments, the Dean of Libraries, and an in depth tour of special collections. It also is very fulfilling to see how each of our interns finds their own individual way into the field either in preservation, book arts or both. After confirming that we are working with Acetate film stock, the next thing to be done is measure the Acetate decay. This is the vinegar odor Helen described in the previous post. 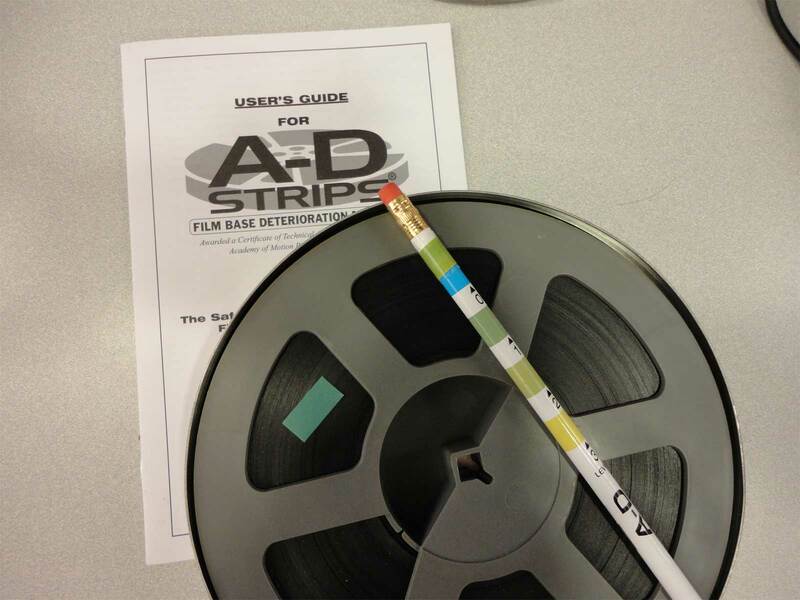 We do this using AD strips, which produce a color coded result. The result ranges from 1 to 3, with anything above 2 being measured as “extreme Acetate decay.” While extreme decay cannot be reversed, it can be slowed by improving storage conditions. The next measurement to take is shrinkage. This, too, is a symptom of Acetate decay, but it can also be caused by excessively dry storage conditions. This is done using a shrinkage gauge. Any shrinkage higher than .08% requires a laboratory to copy the film, otherwise it may be permanently damaged during projection. Shrinkage past 2% will be nearly impossible to fix even in the most advanced film labs. Next comes the fun part. 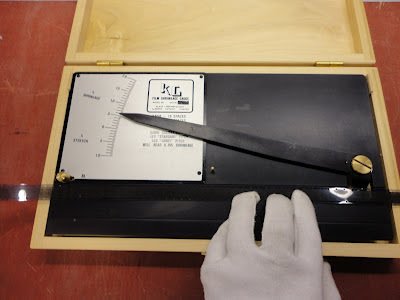 The film is placed in a manually-operated rewind bench. A viewing glass is used and a lightbox is placed underneath to better view the film. 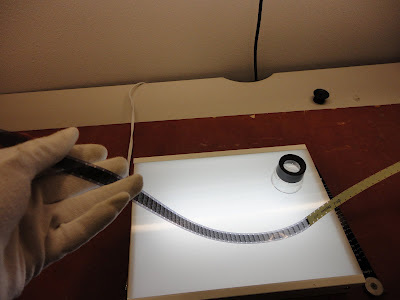 Then we wind the film through once onto a separate film core, examining all the splices with the viewing glass and feeling for damage around the edges. Here we are looking for any kind of visible damage. This can range from mold on the film itself to poorly done or degraded splices. 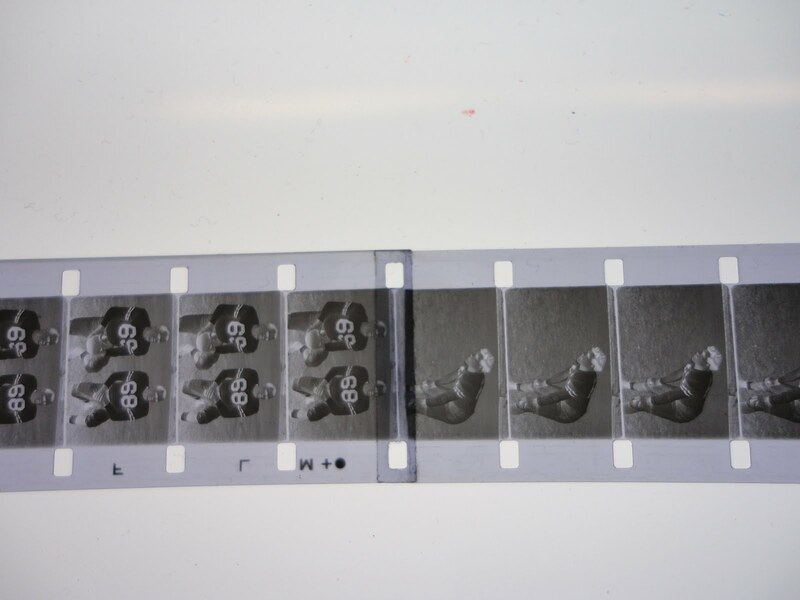 Another common problem is broken sprockets, which can easily cause problems down the line when trying to project these films. All the various damages are then catalogued in a spreadsheet. At this point the film has to be rewound onto a new film core. Improper winding can cause damage to the film during storage, so with a manual rewind like this it can take several tries to get it right. 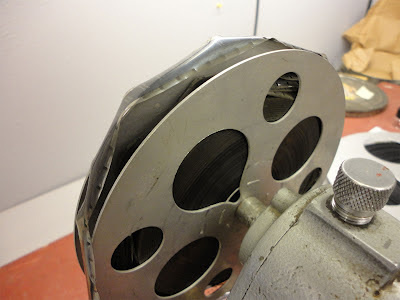 It’s important to wind evenly, guiding the film onto the core in a consistent way. If the film is wound haphazardly for storage there will be pressure on different areas of the stock, causing warping and damage. 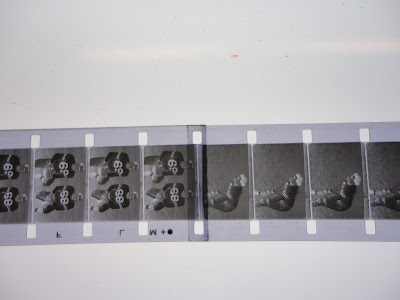 From here, we should have a clear idea of exactly how damaged the film is. 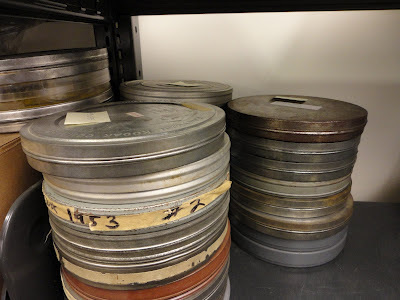 As we make progress through the current selection of football reels we will be figuring out storage and repair solutions to best preserve Dartmouth's films. Starting July 5th until the end of September, the Matthews-Fuller Health Sciences Library at DHMC will feature art by Kathy Detzer. Please stop by and enjoy! Looking for something fun to read this summer? Want to take a break from your studying or grant writing? Look for the “Book Exchange” shelves at both Dana Library and the Matthews-Fuller Library. We offer a variety of donated books, including popular fiction titles, non-fiction, occasional movies, and childrens’ books. We invite you to take a book with you — no need to check the book out at the Circulation Desk. You can return it whenever you’d like, replace it with a different book, or keep it! We also welcome your donations to the collection. Simply drop off a book or two with the Circulation Desk, and we will make sure it gets on the shelf. 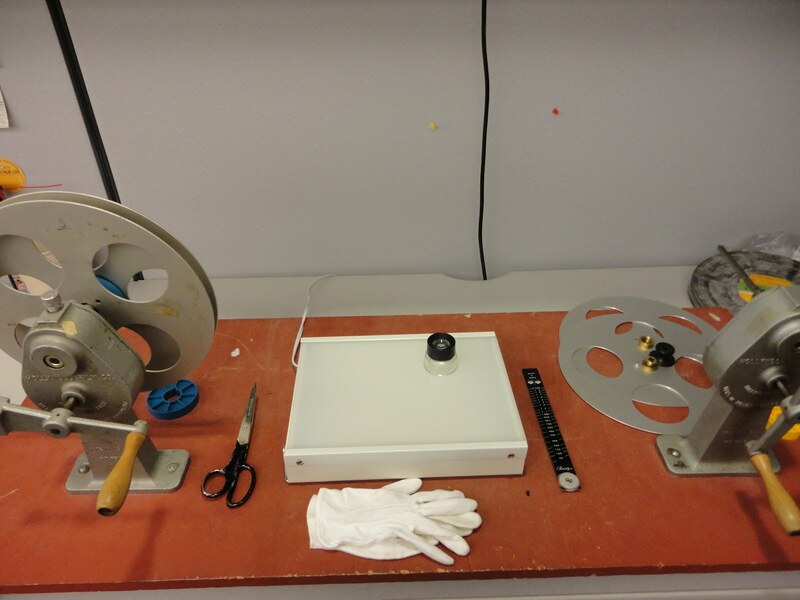 Beginning in 2012, the Library's Digital Production Unit (DPU) formally became part of Preservation Services. This change is one of many recommended by the Dartmouth Digital Library Program Plan; for other recommendations or to see a broad overview of the digital project process, consult the full report. The DPU is located in Baker Room 02, off of the Reserve Corridor. If you are a library staff member and have an idea for a digitization project, please talk to any member of DPIG or fill out a web form for review by that committee. To see all the completed digital collections, visit the Dartmouth Digital Library Initiatives web page; or learn about our special partnership with NewsBank and the conservation and digitization of the U.S. Congressional Serial Set.